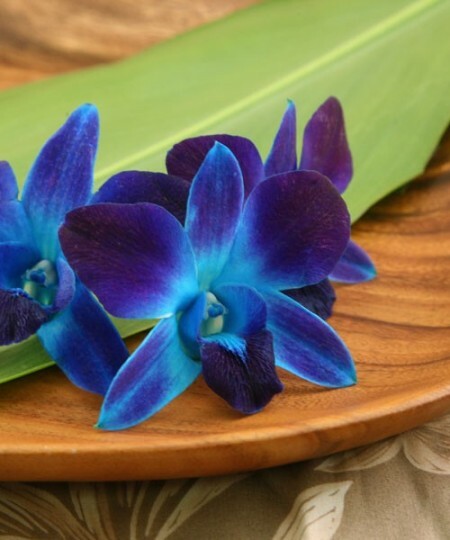 Color infused orchids are exotic dendrobiums that have been colored with special dye. 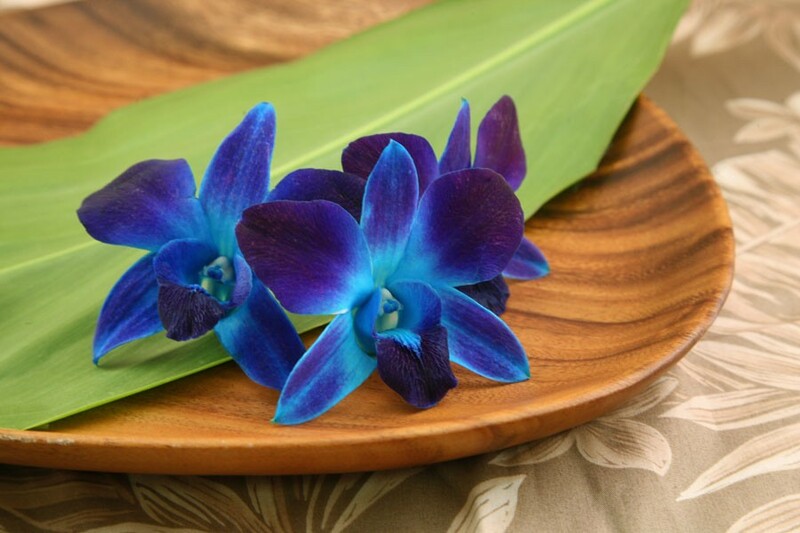 The orchids naturally infuse the color while still on the stem. You must order at least one week before your shipping date. Price is per one hundred loose orchid blooms. Color infused orchids are used for decorating for weddings. If you have chosen one of these colors for you wedding theme you will love these. The dye is inside the orchid and will not rub off or leak out. The color is quite vibrant. Loose orchids are popular for all types of gatherings. You can add some lovely color to your serving trays, plates and tables. Make your own graduation lei! You can match the color to your school. Lei making kits are available from most craft shops. All you need are your favorite loose orchid blossoms. The typical single orchid lei is made with fifty flowers for an adult wearer. Loose orchid blossoms sell out at graduation time. We’ll ship orders according to the date the order was placed. Graduation is a special day so please don’t wait and miss out. The original flowers are purple and white. Choose from blue, red, green or yellow dye infusion. The original purple is most visible with the green and yellow dyes as you can see from the pictures. These are sometimes referred to as ‘tinted orchids’. Though in fact the color is infused into the bloom rather than being applied as a tint. Caring for color infused orchids is simple. Just keep them in the refrigerator in a closed bag until you are ready to use them. If you make your own lei store the completed lei in the same way until you are ready to wear it. You must order at least one week before your shipping date. 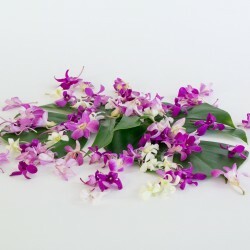 Like all of our flower material we ship from Hawaii by Priority FedEx with special packing to keep the orchids fresh. Priority is one or two days with California and many west coast locations being overnight. Here’s a video from a home grower adding color to an orchid.